This is a sponsored conversation written by me on behalf of BioNeutra. The opinions and text are all mine. 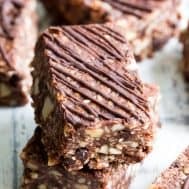 Chewy, crunchy, and packed with chocolate flavor, these paleo, no-bake grain free granola bars are going to become your favorite with the first bite! 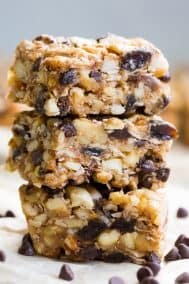 They’re loaded with healthy fats from coconut and nuts and have a lightly sweetened, rich dark chocolate flavor. Kid approved, gluten-free, dairy-free, vegan, grain free and addicting! 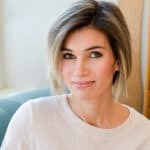 I can’t hide it – I’m pretty hooked on grain free granola bars of all kinds right now. Ever since making my originals, I can’t go a day without a crunchy, chewy, sweet little bite! I feel like the possibilities are endless when you’re making them at home – add some of this and that (and by this and that I’m referring to chocolate, and chocolate) and BOOM! You have a perfect sweet (but not too sweet) snack to get you through those rough, perhaps hangry, points in the day. Anyway, I wanted to go for a really deep dark chocolate grain-free granola bar here, with both raw cacao added to the mix AND mini chocolate chips to mix in at the end. Double chocolate has never failed me – and therefore I’ll trust it until the end…or until the day it somehow doesn’t work out. 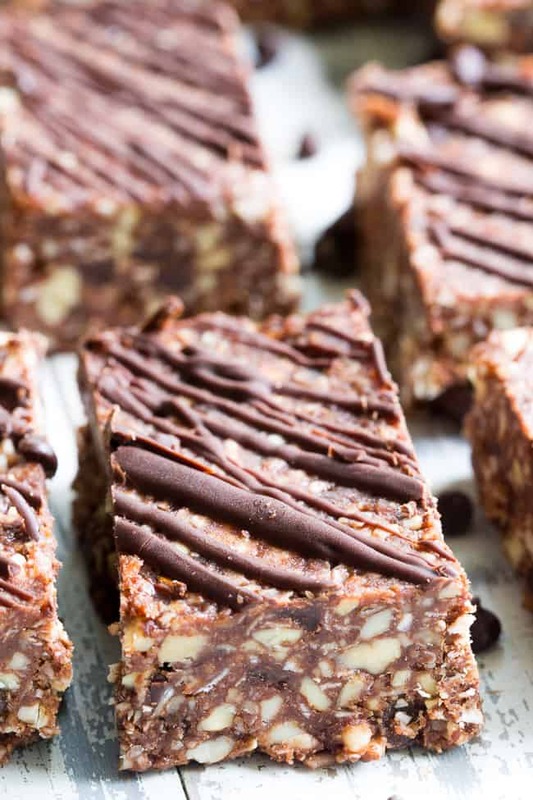 No worries, because today is not that day – these double chocolate grain free granola bars have been my go-to snack for the past week, and they’re still going strong! That is, because I’ve hidden them from the rest of my family, of course. 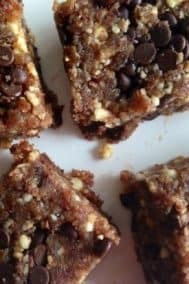 Aside from the double chocolate, I did something else new to me with these bars – I used VitaFiber™ IMO syrup to sweeten them! 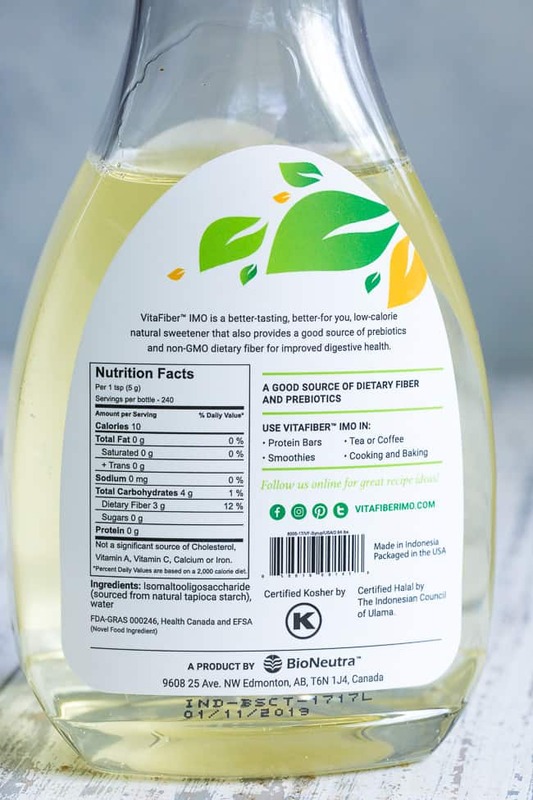 VitaFiber™ IMO is a natural, plant-based prebiotic fiber sweetener that adds just the right touch of sweetness to food, beverages, and baked (or no-bake!) goods. 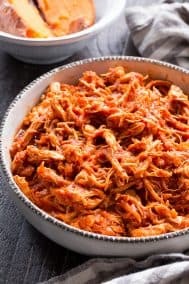 There are no chemical overtones or bitter aftertaste here – just a clean, simple, naturally sweet flavor that I personally loved the first time I tried it. 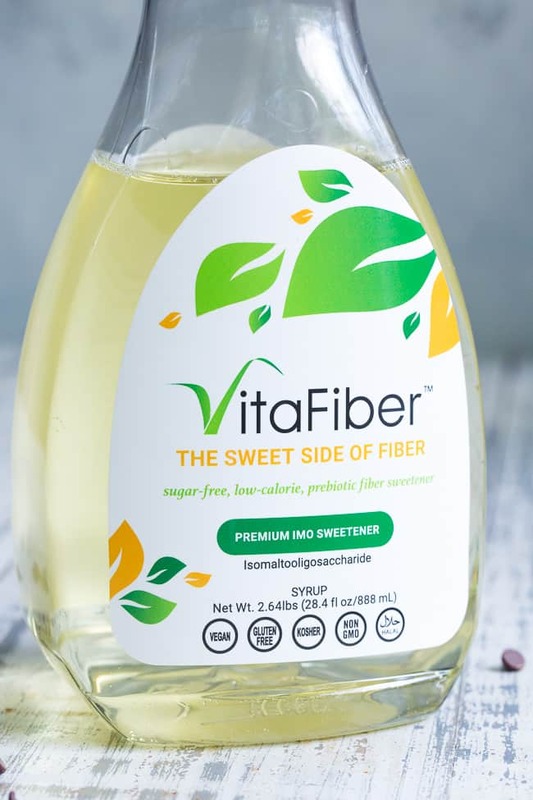 VitaFiber™ IMO blends in seamlessly into foods, beverages, and recipes for a sweet finish. It’s great in protein bars, smoothies, tea or coffee, cooking and baking. 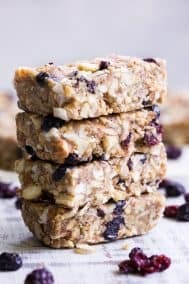 I found that it worked perfectly for these granola bars both as a sweetener, and as a binder to create that deliciously chewy texture we all crave! The ingredients speak for themselves – the IMO is sourced from tapioca starch (which I love and use all the time!) plus water. The flavor is very mildly sweet, which is perfect for Paleo baking when you want to minimize added sugar. You can find out more information about VitaFiber IMO, including where to purchase, by visiting their website here. You can also purchase directly from Amazon as well (prime shipping anyone?). The bars themselves are incredibly easy to make – which is one reason I just can’t seem to stop making new ones! You will need a food processor to pulse the nuts, to get that perfect crunch, and breaking them down so they bind together nicely. Once you have everything mixed up, you’ll need to press the mixture down (very firmly) into a square baking pan lined with parchment paper. The parchment is essential so that the bars don’t stick, and makes removing them after setting a total breeze. You’ll need to set these in the freezer for at least an hour before cutting them to ensure they’re good to go, and avoid a crumbly mess when you try to cut them! No worries if you do get a few crumbles though – you can easily stick them back together and re-set them. Once they’re totally set, I recommend storing them in the refrigerator for the best texture. The freezer is fine too, although they’ll need to thaw a bit since they’ll become very firm when frozen. I hope you’re ready for an incredibly tasty go-to snack! I’m especially excited or you to try these since they’re my new favorite! Let’s get our aprons out (because chocolate!) and no-bake! 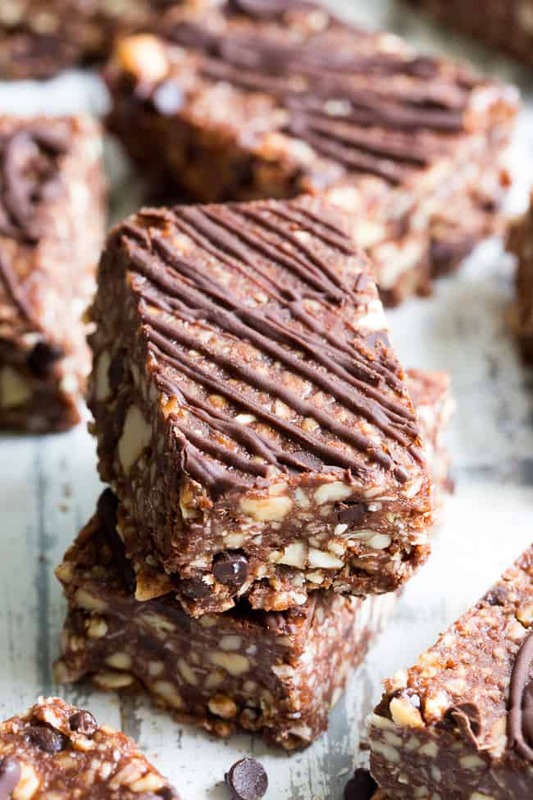 Chewy, crunchy, and packed with chocolate flavor, these paleo, no-bake grain free granola bars are going to become your favorite with the first bite! 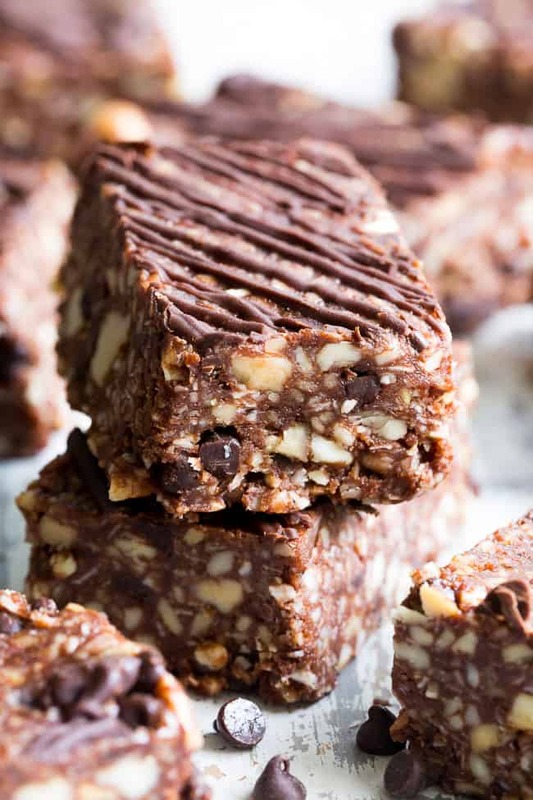 They're loaded with healthy fats from coconut and nuts and have a lightly sweetened, rich dark chocolate flavor. Kid approved, gluten-free, dairy-free, vegan, grain free and addicting! 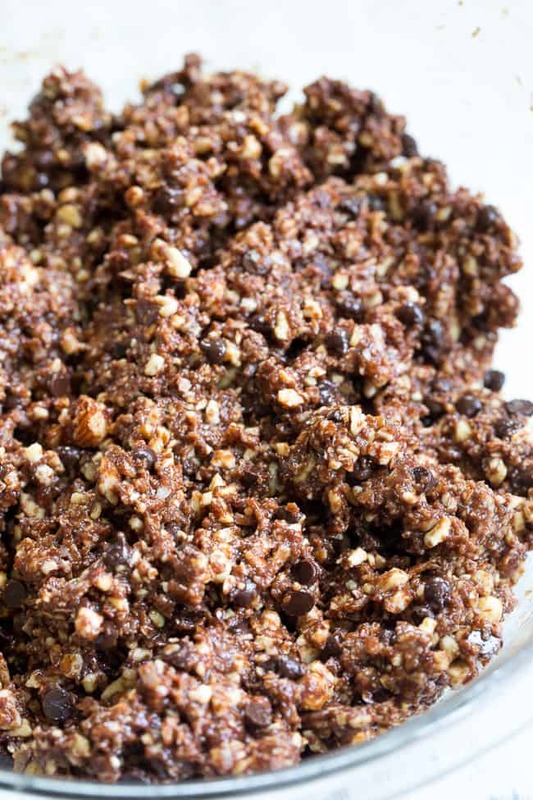 Place the nuts in a food processor and pulse several times to "chop" them into a crumbly texture - a few larger pieces are a good thing - don't overmix! Transfer the nuts to a large mixing bowl and stir in coconut flakes, salt, and protein powder or collagen, if using. 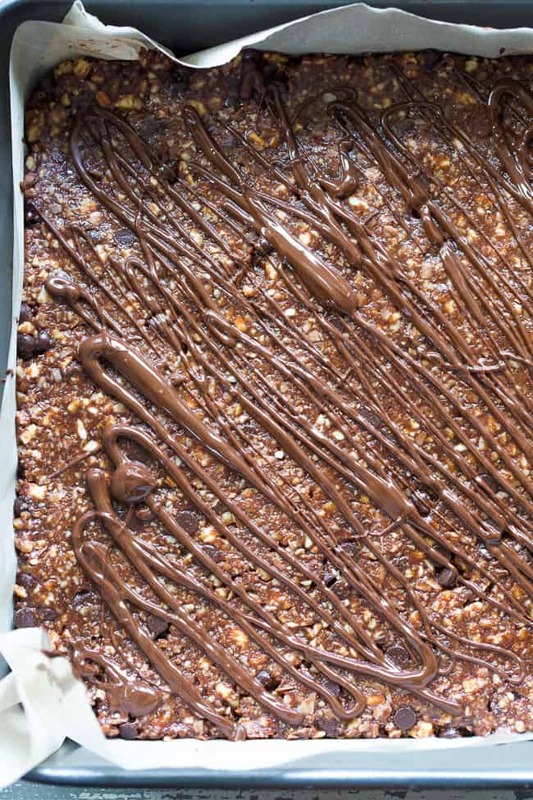 Place melted coconut oil in a small sauce pan and whisk in the almond butter, cacao powder and VitaFiber IMO Syrup. 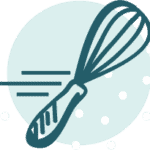 Set heat to low and whisk while everything melts together. Once mixture is smooth and well combined, remove from heat and stir in the vanilla. Pour the wet mixture into the bowl with the dry ingredients and stir to fully combine - I used a silicone spatula for this step. Thoroughly mix to make sure all the dry mixture is coated. Once coated, gently stir in the chocolate chips. 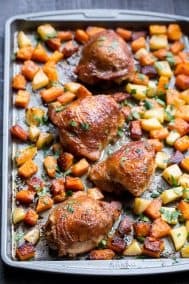 Line an 8 x 8" or 9 x 9" square pan with parchment paper along the bottom and sides, with extra up the sides for easy removal. Transfer mixture in and press down, using your hands, or another piece of parchment paper to get it packed tightly into the pan. Bars will start to melt around room temp due to the coconut oil, so they'll need to be kept chilled to stay firm. Enjoy! 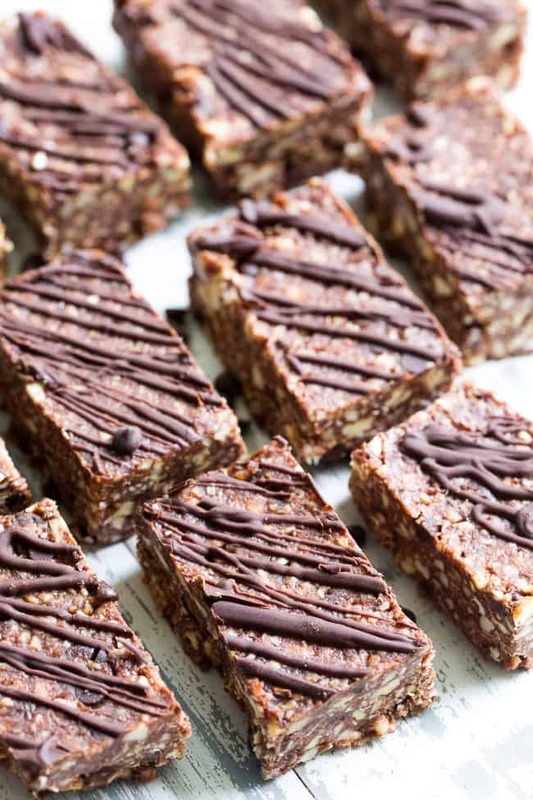 Want More No-Bake Goodies? Try One of These! 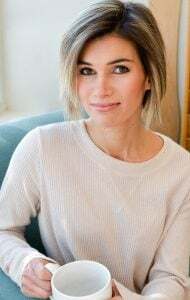 Pure or organic vanilla extract is considered okay in paleo baking as is syrup derived from natural ingredients (in this case, tapioca) or pure maple syrup, honey. That doesn’t mean it’s for everyone though, just as an option. The nutrition link isn’t clickable! I love homemade granola bars! 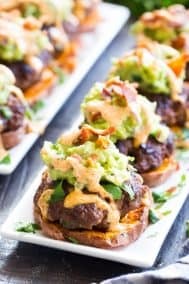 These look and sounds so delicious! 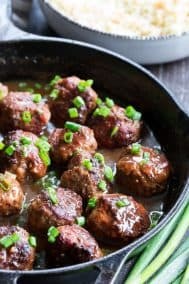 Used maple syrup and no collagen/protein and they tasted great–thanks for the recipe! That’s awesome, so happy you’re enjoying them! I make these ALL the time so that I always have some on hand. I love them! I give some to my daughter-in-law who has taken them to work and given them to co-workers who also rave about them. They’re addictive and I eat too many! 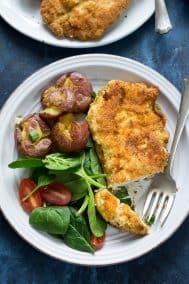 Can you share the Nutrition information? I cannot get the link to work at all. Thanks! These are amazing!